This archive holds all posts form September 2006. CBC News Online reports that Canada’s Chief of Defence Staff, Rick Hillier, has issued a general order restricting publication of information and images to the Internet by members of Canada’s Armed Forces. The order notes the risks of posting information or images that might provide insight into the deployment and capabilities of Canadian Forces and that such insight might put those forces at risk. The order requires CF personnel to obtain approval before publishing any military information or images to the Internet. “This is something that the military has had to deal with since 2002,” when Canada sent troops to Afghanistan, Lieut. Adam Thomson, an Armed Forces spokesman, told CBC News Online. He noted the policy has “been a long time in the making. “We realized that blogs are more influential than we knew,” he said. Six events in three days. One very hoarse voice. One exceptionally generous man. Shel Israel came to Canada this week. And we benefited from his insight, wisdom and advice regarding the potential of blogging and social media to bring about a major change in the way that organizations communicate both inside with employees and outside with the public. 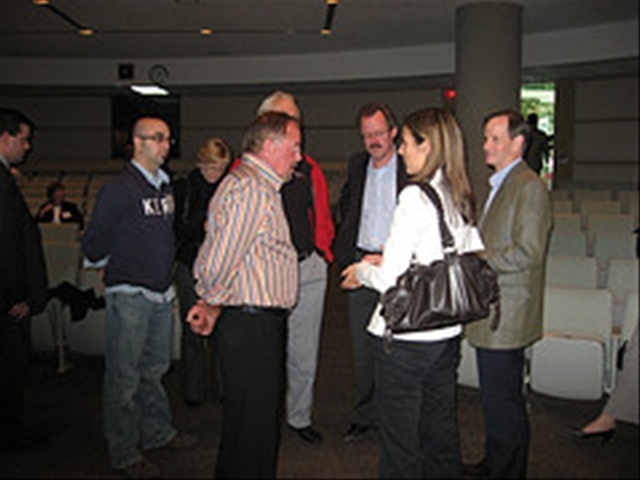 During his time here, Shel met and spoke with over 100 Canadian communication and marketing decision-makers. And from the questions and the interested, engaged looks on people’s faces, I am sure that he had a significant impact. In the next six months, I believe that we will see more Canadian companies and organizations incorporate social media into their communications programs. That will make us smarter, more effective communicators. That in turn will help Canadian companies to be more competitive and Canadian organizations to better serve their stakeholders. And that’s exactly what we hoped that Shel’s trip to Canada would achieve. Thank you Shel. You’ve made a difference. What better thing could be said about any of us? I go to a lot of events where I don’t know anyone, but I’ve always found that events with bloggers who I’ve “met” through comments or just reading are always much easier. We are a group of like-minded individuals, who are accepting of each other by virtue of a membership to a group, which we earned through a ritual of writing and reflecting and of sharing our insights with other bloggers. Our beliefs, independent as they may be, are largely influenced by a book that is at the core of the culture. When we come together as a group, there is an automatic acceptance, because we know that bloggers are there not to self-promote, but to share. Those that were there to promote, were kept outside the group because they were there for themselves, not for the greater good. I think he’s right on here. I’ve been at bloggers events in the past week in Chicago, Ottawa and Toronto. And at each one, people approached one another with an openness and an eagerness to share stripped of all the usual trappings of competition. We’re happy to meet the people with whom we share so much online and we approach them as we find them – through their thoughts and words, not as competitors or rivals. In fact, I was reminded of this at the Third Tuesday in Toronto. When Shel Israel referred positively to Sun CEO blogger Jonathan Schwartz, a voice was heard from the back of the room boasting loudly, “They’re our client.” YECCCHHHHH! The boaster clearly didn’t get what the evening was about. It wasn’t about bragging about wins. Or who is winning at the competitive table. It was about exploring the frontier of social media together. And the crowd demonstrated this with their response. They room responded with silence and by ignoring this outburst of braggadocio. We were there for one another. Not to make points. That’s just one of the many things I like about blogging and bloggers. 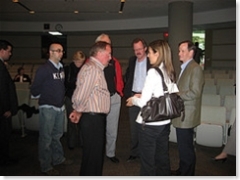 Shel Israel wrapped up his Canadian social media tour with a breakfast session with Toronto communication executives. 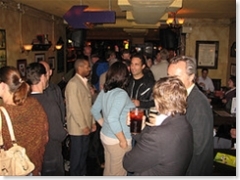 Over 50 Toronto area social media types gathered at The Pour House for the first Third Tuesday meetup. The room was full of bloggers and podcasters, including: Ed Lee, Michael Seaton, Chris Clarke, Josceln Smith, Mary Ellen Armstrong, Donna Papacosta, Lisa Walker, Douglas Walker, Tamera Kremer, David Jones, Julie Rusciolelli, Michael O’Connor Clarke, Jeremy Wright, Leona Hobbs and Terry Fallis. The attendees were treated to a great interactive session with Shel Israel and Canadian blogger/business journalist, Mark Evans. Mark kicked off the session by telling the story about Shel’s previous trip to Toronto. Apparently Shel didn’t bring his passport on the trip. A problem when he reached Canadian Immigration. Undeterred, Shel produced a copy of Naked Conversations and pointed to his picture on the cover and said, “See, this is me.” Happily, the Canadina immigration officer conformed to the polite and obliging Canadian stereotype and admitted Shel on the basis of his book cover credentials! Shel brought his passport on this trip. Then Mark and Shel kicked into a full Monty Naked Conversation. Shel: “Four years ago, a blogger named E.A. Spouse posted about her husband’s working conditions at Electronic Arts. One of the readers was Scoble. He picked it up. It was amplified quickly and appeared in mainstream media. “At the time of the London subway bombing, the BBC learned of the bombing from a person who captured images on his cell phone. “Metcalfe’s law states that the network becomes more powerful the greater the number of nodes in the network. In blogging, we are the nodes. Much conversing. Much networking. A GREAT way to launch Third Tuesday. 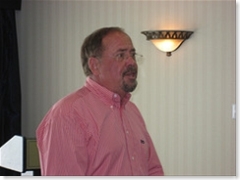 Shel Israel was the featured speaker today at OCRI Zone5ive’s first session of the year for technology marketers. 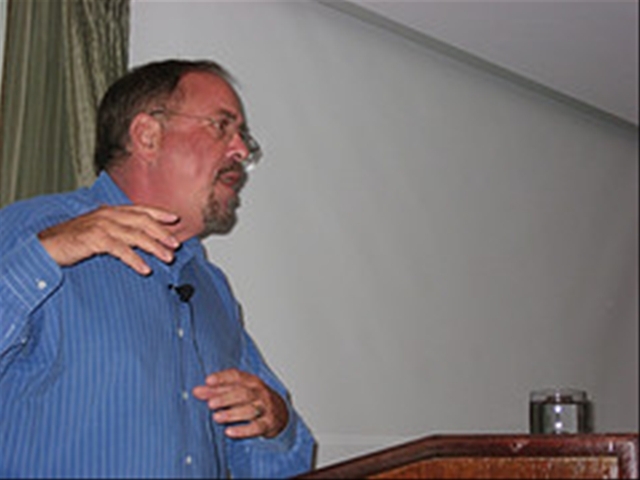 PowerPoint has a lot to do with a traditional way of thinking. I talk at you. My slides establish that I am the authority. Effective communication involves conversation. And blogging enables conversation. One to one conversations that scale to one to many and many to many. 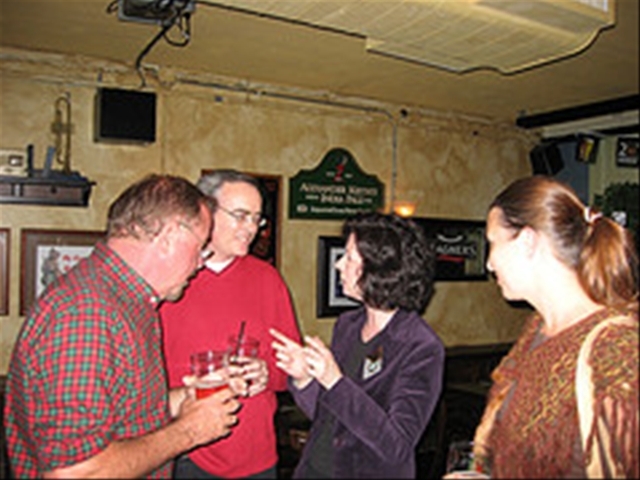 The conversation is fundamental to marketing. But it has become divorced from the marketing that has been happening for the last 50 years. Marketing at its base was word of mouth. The local butcher. The local shoemaker. Talking to the local resident. However, word of mouth was unable to scale with the development of mass production, mass media and ultimately, mass marketing. Now, we are in a period in which audiences for mass media audiences are splintering and shrinking. And mass marketing is not as effective as it once was. We are entering a time in which people can speak directly to one another about what they believe, what they like, about their passions. And others read and listen to this. Smart companies are recognizing that their blogging employees can put a human face on the company and its products. And they can engage in conversations with people who care the most. The Edelman Trust Barometer this year indicated that the most trusted source of information is “People like me.” Not the traditional institutions. Sidenote: In a room full of marketers, only two people raised their hands when Shel asked whether anyone knows who Richard Edelman is. When you understand what people are thinking, then you can decide what the wise course of action may be. If you want to hear what people think, start a blog. They’ll tell you what they want and need. Blogging allows the conversation of two people who know and trust one another to scale around the globe. Good marketing will take the customer out from the edge of the company and bring them into the center. Blogging can achieve this. Dell is coming to terms with the need for and the potential of blogging. They have moved from their position of unresponsiveness at the time that Jeff Jarvis proclaimed he was in “Dell Hell” to launch their own blog. And while that blog was widely criticized in its early stages, they have learned and responded. Dell has changed. They have become part of the conversation. And their perspective is being shared. The adoption of blogging by corporations has been slow to develop. But as they become more familiar with its potential, the pace of adoption will accelerate. HR is the first place that should blog. New recruits will judge a company by its bloggers. The company that wants to attract the MySpace generation will supply new employees with an employee blog at the same time that they receive their telephone, their computer and their security pass. And they won’t be told they have to blog. Nor will they be told what to blog. This will send a signal to them that their employee understands the evolving world and trusts them to behave responsibly. Something very fundamental has changed. One way communications to two way communications. The traditional advertising vehicles are becoming more expensive at the same rate they are becoming less effective. As a new generation comes into the mainstream, they will expect marketing to be conversational. 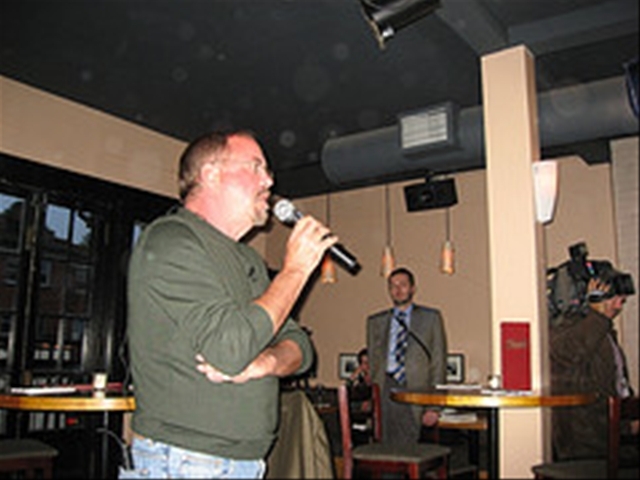 The Third Monday meet up of the Ottawa social media community kicked off with inaugural speaker Shel Israel, co-author with Robert Scoble of Naked Conversations. Over 35 people showed up at the event. From Ottawa and from as far away as Montreal. Shel mixed and mingled with the participants. The room was well-seeded with bloggers and podcasters. Among them, Colin McKay, Brendan Hodgson, Ian Ketcheson, Bob LeDrew, Terry Fallis, Jill Pyle and John Wiseman, John Sobol, and Jeff Parks. 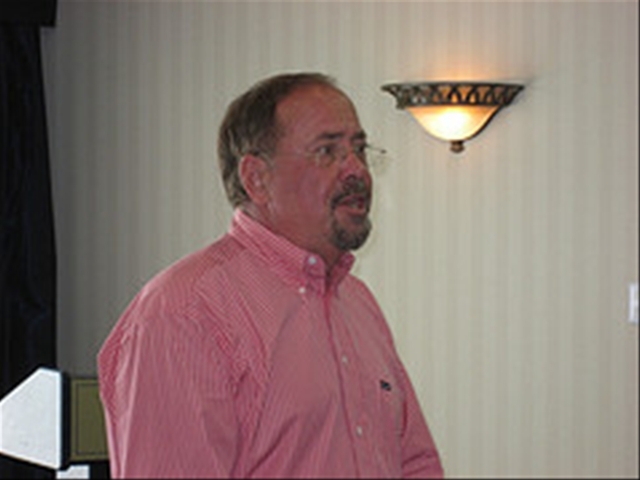 Shel pointed out that the growth of blogging, MySpace and other social media provides a signpost to the future. And as the younger generation engages with social media, they will demand it of the organizations they join and the places they work. Question: Should PR practitioners reach out to bloggers or should we counsel our clients to do it directly. Shel’s response: Join the conversation. If you want me to write about you, comment on my blog. Write on your own. Then I will have a relationship with you. I will be able to form judgments about you. I will know whether to trust you. And I will accord attention to you. The key message to companies. The conversation is already going on. You are really dumb if you stay out of it. The biggest mistake that companies make is that they get involved because they feel they need to. But there is no conviction. No passion. They will be seen through for this lack of authenicity. Does blogging work for Government. Shel suggested that the purpose of govenrment is to serve a population. And the population cannot be heard over the well-financed lobbyist. Blogging and social media provides all citizens with the opportunity to have a voice. to engage in the building of community. To find other people who share common interest. To initiate the online town meeting. We want government to show that it is made up of real people who care. Not some faceless, abstract bureaucracy. How about Lonelygirl15? Will communicators lose credibility through this type of marketing stunt? Shel: Wherever there is action, the camp followers tend to come. There are some bad people out there. Lonelygirl is a terrible story. But the weight of terrible stories vs. the everyday reality of 50 million blogs is a relatively small portion. What feeling do you get from your audiences as you go from place to place? Are they optimistic? Pessimistic? Does it vary widely from place to place? 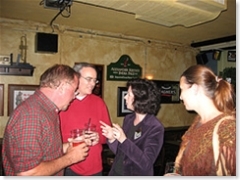 Shel: What I find .. Estonia, Singapore, Ireland, Belgium – I see a convergence. We are creating a culture that does not care about borders. It is connected by people who have a passsion for is something that is changing the world. What will be interesting is what happens as culture crosses over with this technology. It gives Shel great hope. To learn that people are saying similar things, recalibrating themselves through this new media. That is inspiring. Can we make a living by blogging? Very few people make a good living through blogging. blogging is a conversational tool that will be used by normal people doing everyday things. The blog is a tool. You can use hammers to build a house or bludgeon someone. The excitement is that people are going to adapt this tool to their needs. Some of them won’t be very nice. Some will try to make a quick buck. But our experience so far is showing that people will see through this and that it will not be successful in the long run. So far, what we are seeing is mostly real people who want to talk to real people. And they are looking for authenticity and transparency. Shel Israel met in Ottawa today with a group of about 30 government and private sector communications executives. 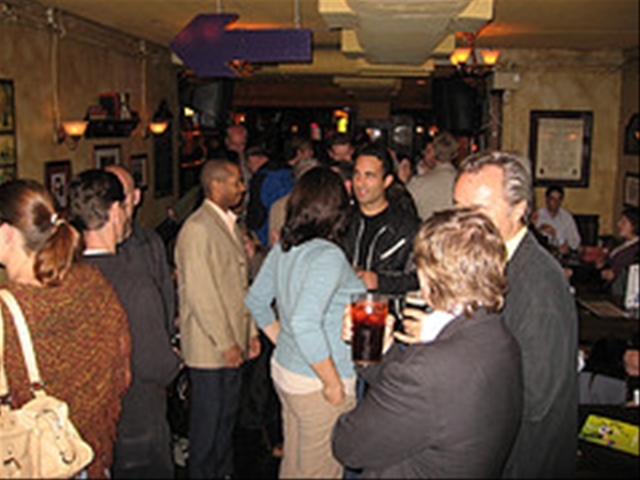 Most of the attendees’ organizations have taken only preliminary steps in social media or have yet to engage with it. All were intensely curious about its potential impact on their organizations. Shel led off with a brief introduction of the basic theme of Naked Convesations: Think of people having a conversation across their back fence. Without guile. One to one. Making judgments about what to accept at face value and what to dig further into. Through social media, people can connect via the Internet as if they were talking across their virtual back fence. And people with shared interests are seeking one another out and building new communities that transcend the confines of geography. He then fielded questions from the audience. How essential is it for a company to have a blogging strategy when making an announcement? It’s clear that people today go to Google as their first source of information. I want to know about a subject? I go to google. And blogs have “google juice” – they rank high on the search engine listings. So the answer is that companies should plan to reach bloggers in order to present a complete picture for those who will look for information regarding what the company is announcing. How do you know who to trust? By becoming part of the community. By engaging in the conversation on an ongoing basis, you will identify the voices of authority and establish a trusting relationship with them. What are the downsides for companies and organizations that fail to engage with social media? One, the MySpace generation – now 60 million strong – will not be keen to work for companies or organizations that do not adopt the kind of online communications that they have grown up with. How to overcome the reluctance of senior executives to engage in blogging? Start with the recognition that the genie is already out of the bottle. Blogging is established and here to stay. Understand that companies that don’t blog will be suspect, regarded as companies that are not transparent and open to scrutiny. Corporate fears? What if somebody comes to my site and says something nasty? Well, they’ll say it somewhere. Better that they say it on your site, where they’re like to be more polite and where you’ll see it and be able to react. Seepage of intellectual property? There have been few instances of this. And employees should be covered with nondisclosure and ethics agreements as part of their employment agreements. Ghost writers? Ghost writing is hokey. Better that someone writes with grammar mistakes and poor spelling than to have something polished by another voice. Readers can see through ghost-written blogs. And they rate them poorly. Re Scoble and putting a human face on Microsoft. This can be done by other organizations. Companies can humanize themselves by freeing employees to speak about their enthusiasms, about what they and others believe about the place they work. There are many people who believe that just being honest about our imperfections builds our credibility on the statements that we make. The resistance to own up to our failings is one of those things that distances and alienates organizations from their employees, their communities and their customers. Blogs should be spin free zones. Authenticity is built by telling, not by selling. Successful blogs are full of authority and passion. Shel pointed out that he periodically “picks a fight” with people. He speaks out if someone is spinning or denying the evident truth. He cited Robert Scoble’s recent calling out of HP as another example of a blogger speaking to their passion. How to approach lawyers objections? According to Shel, lawyers are in the business of counselling you on how to avoid risk. But businesses cannot achieve anything without some risk. I’m writing this post at 25,000 ft on board my return flight from the Ragan Strategic Public Relations Conference in Chicago. And I’m using Windows Live Writer Beta to do it. Just like I used Live Writer for all my posts from the Ragan Conference. I usually write directly into WordPress. And I’ve been very happy with the WordPress Write screen. I’ve found that it gave me all the flexibility I needed. However, in the past year, I’ve tried to Live blog the PRSA Counselors Academy Conference, IABC International Conference and now the Ragan Conference. At each one, the Wi Fi was spotty, working in some rooms but not in others. At the earlier conferences, I composed my posts in Word and then pasted into NotePad to strip out any stray coding and then, finally pasted into WordPress to blog. And then I still needed to add links and insert images and pictures. What a time consuming process! Enough of that! I decided to try an offline blogging platform at the Ragan Conference. So, I downloaded Windows Live Messenger Beta. A breeze to set up. I had no problems setting it up for both my external blog, ProPR and my internal company blog (accessible only behind our firewall.) It captured the different templates of each of my blogs and allows me to switch between them with a single click of a drop down menu. And then I started to write with it. Even better! I found that it offered much more flexibility in handling images and quotes than the standard WordPress Write screen. I was able to add pictures and images while offline. And all of the text styles conformed exactly to my WordPress styles. It also captured my Categories so that I could add those offline. And it allowed me to prepare the framework for my posts in advance (picture of speaker, title, boilerplate description of topic), save the post and then open it for editing during the session with no need for wireless. Great so far. But how about publishing? The best. One button publishing posted it to my Blog. It integrated perfectly into WordPress. Bravo Microsoft. 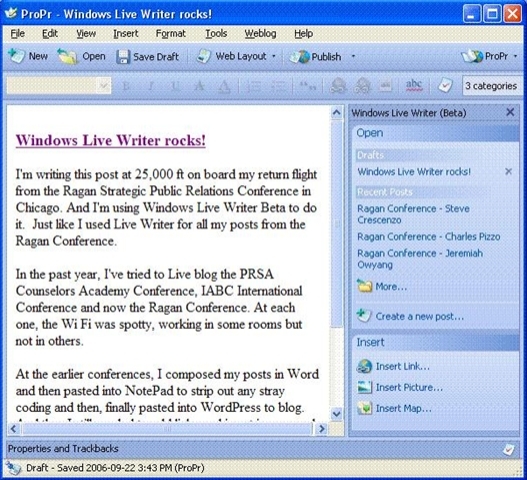 Windows Live Writer is a great application that does what it promises to do. 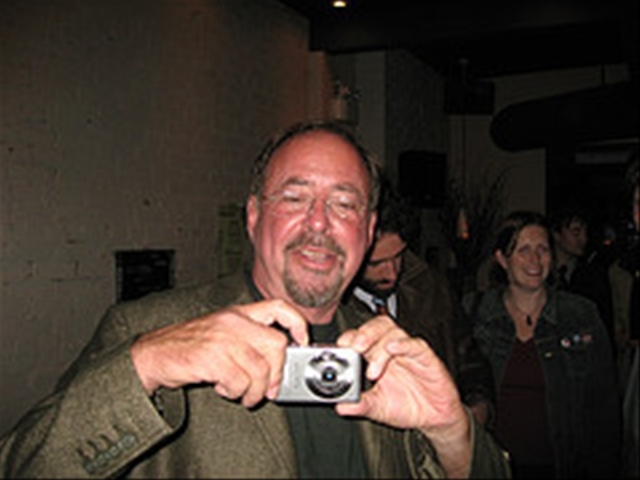 If you live in Toronto or Ottawa, you will have a chance this week to meet Shel Israel, co-author with Robert Scoble of Naked Conversations. Shel will be speaking twice in Ottawa. 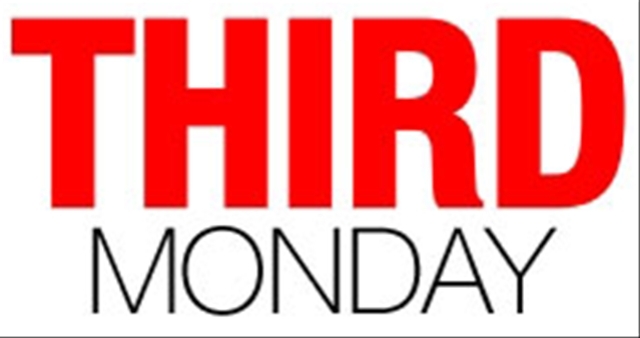 On Monday evening, he will be kicking off the Third Monday series of Meet Ups for public relations types interested in social meda. 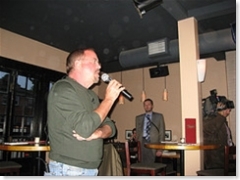 On Tuesday at lunch, he will be the first speaker at this season’s series of OCRI Zone5ive gatherings of the Ottawa technology marketing community. On Tuesday evening, Toronto bloggers and podcasters will have a chance to meet and talk with Shel at the inaugural Third Tuesday gathering. 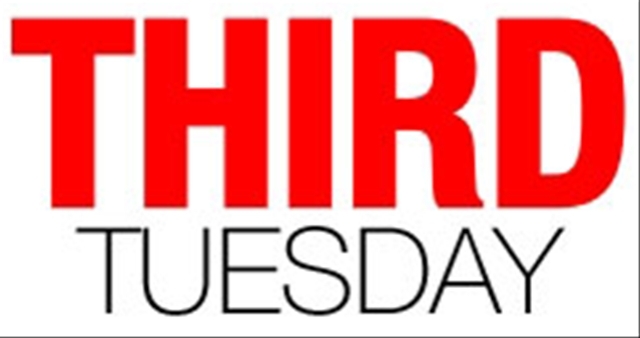 Register directly online to attend OCRI Zone5ive, Third Monday and Third Tuesday.